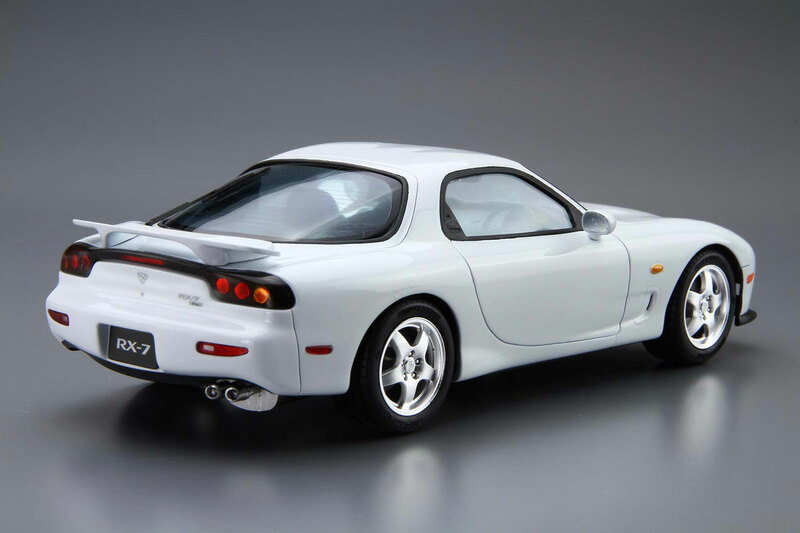 In 1996, the 3rd generation of RX-7 FD3S received a minor face lift (a.k.a. model IV) and has a larger rear wing, 3-round shape tail lights, also 17 inch high pressure casting aluminium rims. 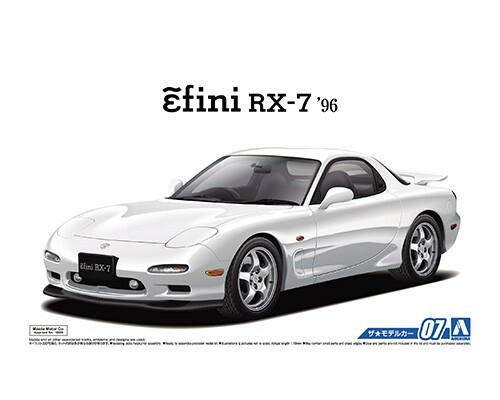 This model IV RX-7 has a simplified vacuum routing manifold and a 16-bit ECU which increased the boost by extra 10 PS. 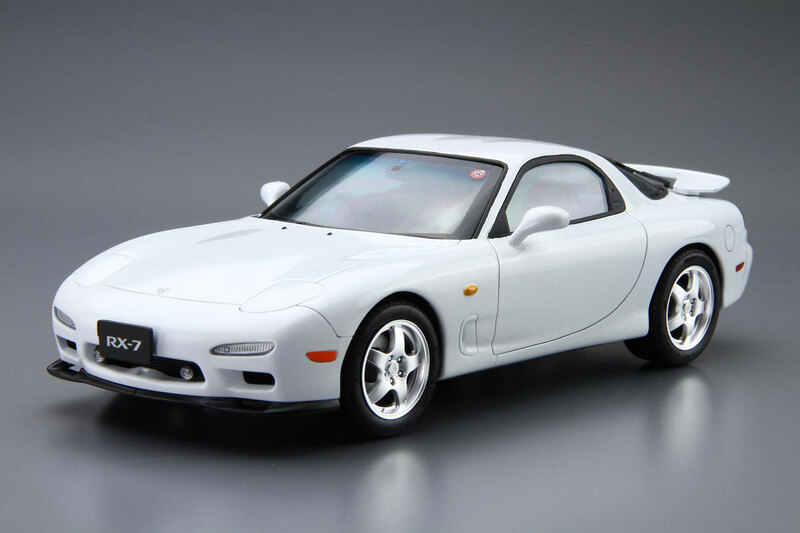 This model kit recreates the model IV of RX-7 Type RS grade. The decal sheet includes both Mazda and Efini logos which can be used at your choice. A window mask sticker is also included.